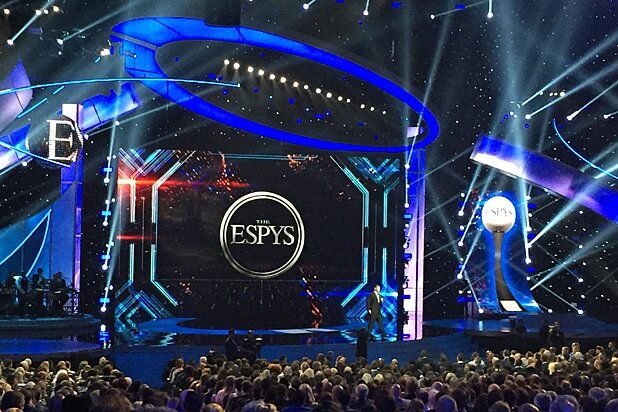 The fourth Annual ESPN Sports Humanitarian Awards on Tuesday celebrated the positive impact sports stars have rather than just their achievements on the field, court or ice. In a year that the #MeToo movement and female empowerment has dominated headlines, the Sports Humanitarian Awards– held at LA LIVE’s The Novo in downtown Los Angeles — honored the likes of Laila Ali, Stephanie McMahon, Charlotte Flair and the U.S. women’s ice hockey team. Robinson was honored for his work helping to create equal access to education for all students in his hometown of San Antonio, Texas. His Carver Academy started out as a school for 120 elementary students and has grown into a publicly funded charter school with more than 1,100 mostly low-income Hispanic and African American students. WWE chief brand officer Stephanie McMahon, who accepted WWE the League Humanitarian Leadership Award for her organization, explained why the company takes community efforts as seriously as the action in the ring. “In WWE, our mission is to put smiles on people’s faces, whether we do that with our entertainment content or we do it by giving back to the community,” McMahon said. “We had an event at Wrestlemania this year where we had pediatric patients come out as their WWE Superstar personas, because that is going to help them fight. We made music and entrances as they came into the ring, our fans cheered them on and that is exactly what WWE is all about. “I certainly hope that WWE’s impact is growing in terms of how we give back to the community. That’s what life is all about, giving back — so it’s a privilege,” she added. 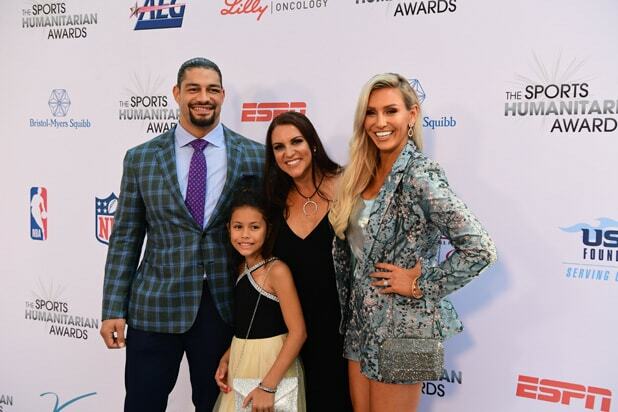 “What this award is about is giving back, the charitable acts we do when no one is watching,” WWE Superstar Roman Reigns told reporters after the company was honored. “What is the positive message that you bring? We have a lot of resources and a giant platform and we want to use that. I can honestly say that it makes me a better man — growing up I wanted to be a superstar of some sort and wanted to be a role model,” Reigns said. “If you can help a young kid stay on the right path, that’s the important thing, if we all look at the world in the same way that’ll be a good thing. “This equality movement is a huge part of what we’re doing is well — not just in sport but in life,” he added.